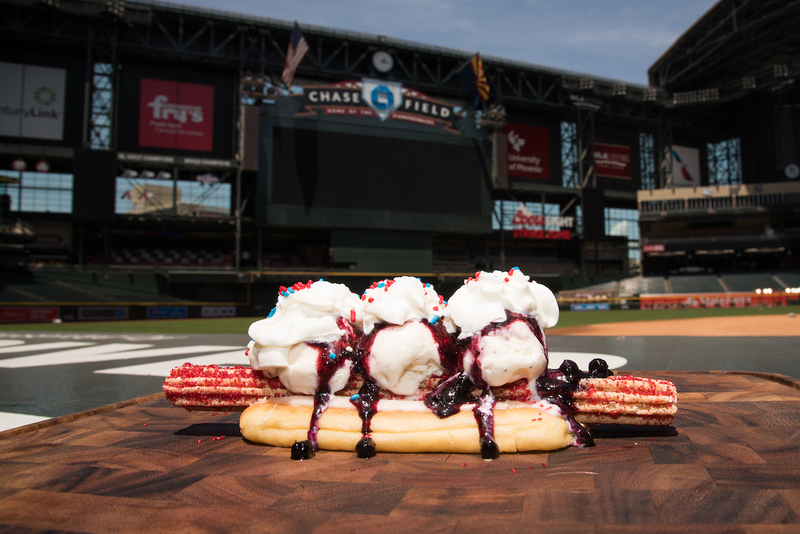 The Arizona Diamondbacks (@Dbacks, @LosDbacks) will host a special 1st of July game this Saturday, highlighted by a State Forty Eight Patriotic T-shirt giveaway, Fireworks Spectacular and holiday-themed food items. The first 20,000 fans will receive a Patriotic T-shirt, courtesy of State Forty Eight, and enjoy a 7:10 p.m. matchup against National League West opponent Colorado Rockies in the comfort of air-conditioned Chase Field. After the game, fans will be treated to a Fireworks Spectacular, presented by Gila River Casinos. Apple Pie Nachos – cinnamon sugar flour tortilla chips, vanilla frozen yogurt, apple pie filling, streusel topping, caramel sauce and whipped cream. The Apple Pie Nachos will be available at dessert portables (sections 106 and 323). Moonshine Que Dog – traditional D-backs Dog loaded with moonshine barbecue pulled pork, crispy granny apple slaw and barbecue Fritos corn chips. 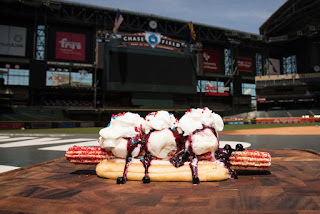 The Moonshine Que Dog will be available at Red Hot locations (Section 118, 139 and 322). Blue Mule Cocktail – the cocktail will consist of lime juice, vodka, blue curacao, ginger beer, blueberries, and strawberry garnish complete with a red, white and blue straw. The Blue Mule Cocktail will be available at liquor portables throughout the ballpark. Red, White & Blue Caramel Apples – fans can choose between red, white and blue-sprinkled caramel apples available at dessert portables throughout the ballpark.